DORIN FRANKFURT transforms the classic long sleeved top into a piece that evokes a cool vibe. 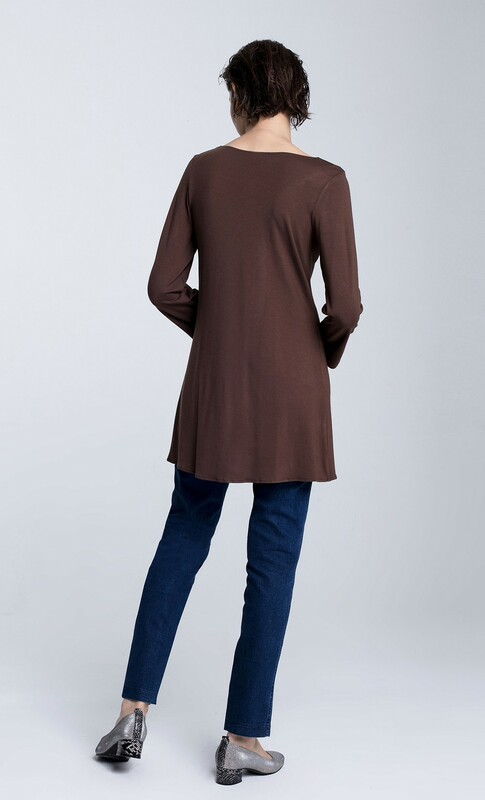 Made from soft rayon, this top is cut for a slim, elongated fit and is defined by a slitted asymmetric hemline. Wear it over tailoring or denim.